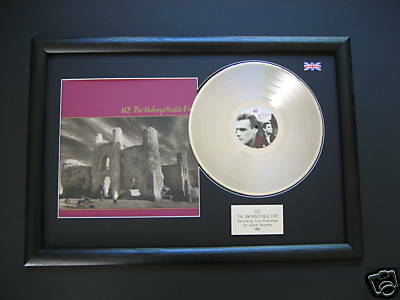 A stunning Platinum Presentation Disc to compliment any room. Platinum LP Presentation Disc with the genuine Vinyl and cover. Mounted using “White core” Black Conversation mount card with an engraved polished silver bevelled edged plaque. Framed in a Black Ash Wooden frame.